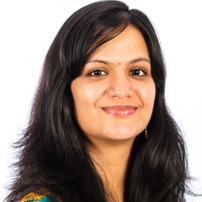 Dr. Varalakshmi Yanamandra is an Ayurveda Practitioner and Osteopathic Manipulation Therapist. She is director and founder of Ayur Wellness and Pain Centre, holistic therapy centre in Birmingham specializes in treating people suffering from chronic health conditions. She is originally from South India. Her zeal towards natural science and constant enthusiasm to natural sciences made her chose Ayurveda as a degree. She helps people lead a qualitative life devoid of any kind of pain. She uses Ayurveda and Manipulation therapies to treat and help people suffering from chronic pain. Having successfully treated many women with chronic conditions, she believes that Ayurveda can be an alternative for those suffering from chronic health conditions.